Dr. Rohit K. Kashyap was born in Brooklyn, New York, but grew up in Toronto Canada. After finishing high school, he left the great white north and headed south to The University of Texas at Austin, (Hookem'!). He graduated with a Bachelor’s Degree in Biology and then left the United States and headed even further south for Medical School at Ross University. After completing the study of the basic sciences on the Dean's List, he moved back Stateside for two years of clinical studies, splitting his time between New York and Chicago. He received his medical degree in 1996. After taking a year off to travel internationally, Dr. Kashyap joined and completed his internship and residency at the UTMB/CHRISTUS Family Practice Residency Program. He completed the 3-year program and then went on to study Primary Care Sports Medicine in UTMB's Sports Medicine Fellowship program. From 2001 to 2002, Dr. Kashyap was the assistant director of the UTMB Sports Medicine Fellowship program enjoying both the teaching and administrative aspects of the position. His focus, however, remained patient care and he continued to practice medicine as the team physician for the Beaumont Independent School District and Lamar University. 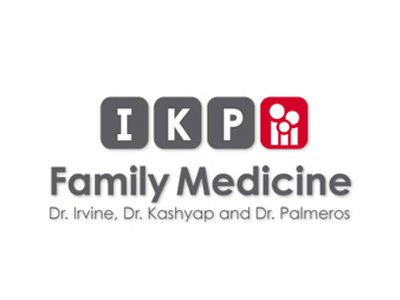 As of August 1, 2005, Dr. Kashyap partnered with his colleagues and friends, Dr. Timothy Irvine and his wife, Dr. Alejandra Palmeros-Irvine to establish IKP Family Medicine.